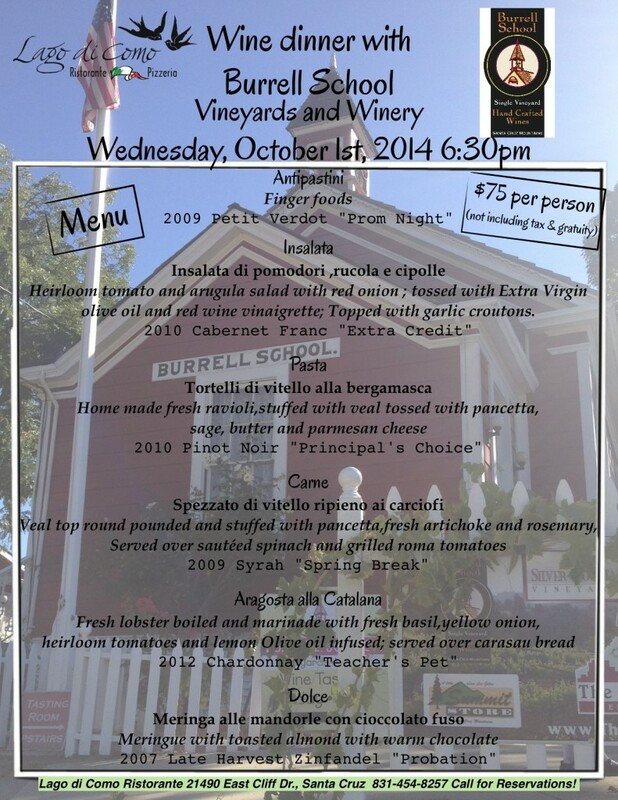 October 1st Wine Dinner with Burrell School Vineyards! Join us for our next Wine Dinner! Wednesday, October 1, 2014 at 6:30p.m. A delicious Lago di Como meal of 6 courses – each paired with a select wines from Burrell School Vineyards & Winery! All wines for this dinner will be Estate wines made from grapes grown right in their beautiful vineyards off Summit Road! This entry was posted in News and Events on September 10, 2014 by Bellagio.